The 10.1 inch touchscreen is as simple to use as a smartphone or tablet PC and features well-known functions like flick and drag, pinch-in pinch-out and rotate. This lets you navigate easily, intuitively and conveniently through all system functions. 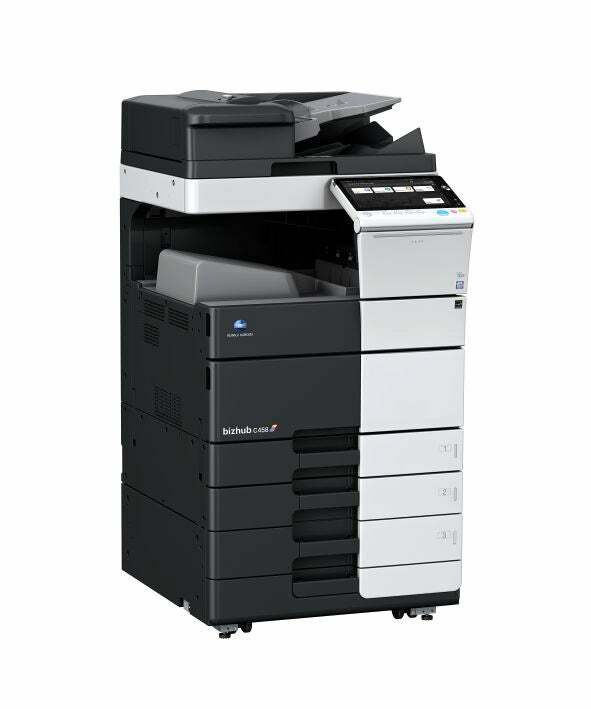 Print from anywhere, anytime thanks to the latest mobile technologies embedded in this new MFP. Up to 240 ipm can be scanned with the dual-scan feeder, ensuring full productivity. The optional multi-feed detection kit guarantees that every single original is scanned. Avoid paying expensive external printshop bills and produce almost any print job in-house! Stapling, punching, letterfolding, booklets and Z-folding are easier than ever. Interested to see all features and options and build your very own bizhub C458? 1st copy out time A4 (mono/colour) 4.0/5.1 sec.